Of all the white grape varieties in the world, Riesling may just be the most misunderstood. For far too long, the grape was associated with cheap, sugary swill bottled with a bunch of added sweetness and marketed as a ‘dessert’ wine. However, if you know Riesling, you know the grape’s potential goes far deeper than that. In fact, Riesling is actually one of the most versatile varieties on the planet that’s planted in a variety of regions and appellations. Its grapes are responsible for crafting wines across the spectrum, including those that range from bone dry to sticky sweet. Born in the Rhine region of Germany, Riesling has a pretty rich history with records of the variety dating back to the 1400s. After much analysis, it was finally solidified that Riesling is the child of Gouais Blanc, as well as a random cross between a wild vine and Traminer. Though its origins lie in Germany, and its most famous bottlings still continue to come from its motherland, the grape is widespread across numerous winegrowing regions including Austria, Alsace, Washington State and Australia. In terms of growing conditions, Riesling loves cooler climates. The grape can thrive in a variety of soils, though the blue and red slate soils of Germany are particularly famous. In vinification, Riesling needs a little TLC, as the juice should generally interact with the skins as little as possible. Fermentation usually takes place in stainless steel at low temperatures, preserving the grapes’ natural freshness and fruit-forwardness. Riesling is most definitely a terroir-reflective variety, in that the final wines show a distinct sense of place no matter where they are produced. The most important characteristic to note about Riesling is its lightning-like acidity. Not only does this keep the wines mouthwatering and fresh, it also adds some serious backbone to the juice, giving the wines an extremely long age-worthiness. Well-crafted bottles of Riesling can age for decades, provided they are stored in the proper conditions. In addition, this high acidity is also essential when producing the variety’s famed dessert wines; whether affected by noble rot, produced as Eiswein, or late-harvested, this acidity is imperative to balancing high sugars, keeping the wines’ equilibrium in check. Some of Germany’s most popular Riesling-based dessert wines, labeled Trockenbeerenauslese, demand some of the wine market’s highest prices worldwide! Because of its range of styles and high acidity, Riesling is extremely versatile on the table, pairing gorgeously alongside a plethora of foods. Bone dry versions make for great aperitifs, as well as nice companions alongside salty seafood. For bottles with some residual sugar, spicy Indian and Asian cuisines are a lovely match. And for those deliciously sticky dessert wines, serve them up alongside fruit-based pies, tartlets and other jam-filled desserts for an out-of-this-world experience. 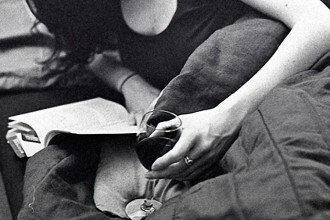 Does Wine Really Make you Sleepy?